Are you looking for a long lost relative? 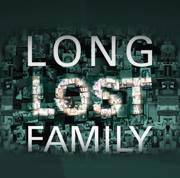 Popular, award-winning television series in the UK, Long Lost Family, is a TV documentary series that follows the stories of people who have experienced long-term separation from members of their family and are seeking to be reunited with them. The show is now coming to a major US network, and the producers are looking for participants to have their stories told and a possible reunion. Are you a mother hoping to reunite with a child you were unable to raise, an adult adoptee looking for a biological parent, or a sibling searching for a brother or sister after decades apart? If you are desperate to trace a lost family member and have been searching with no success, the Long Lost Family team would like to hear from you. We understand that this is a very emotional quest and we will always be very sensitive to seekers who respond to us. To apply, please fill out the form below with your contact information, along with a paragraph about your situation, the family member you are searching for, and how the circumstances of your separation has impacted your life.